← Meet-up At The Coverlet Museum! 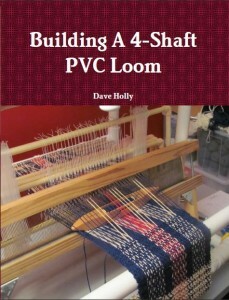 Member jabberpaws over at ravelry has constructed a new PVC Loom with a very interesting modification. Legs! And, jet-black paint! I think it looks great. In operation, the base is held in place using your feet. This is necessary since the PVC Loom is so lightweight.